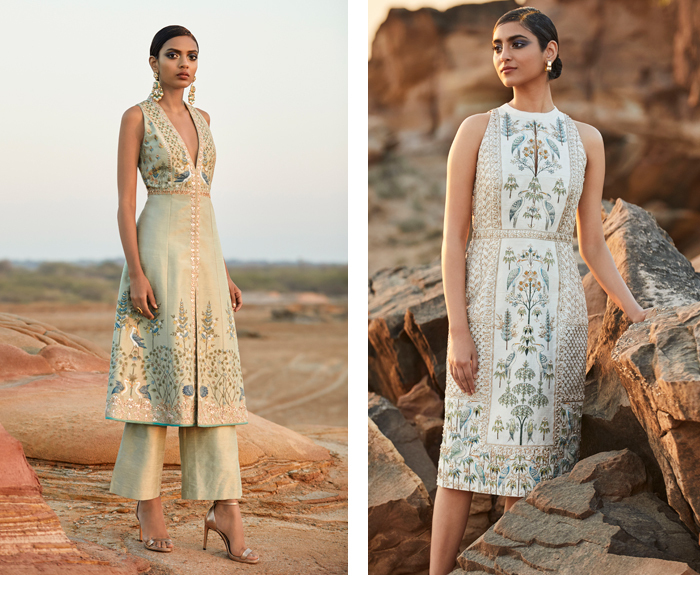 If your idea of bridal couture perfection is Anita Dongre, you’ll love the latest collection from the Indian designer. 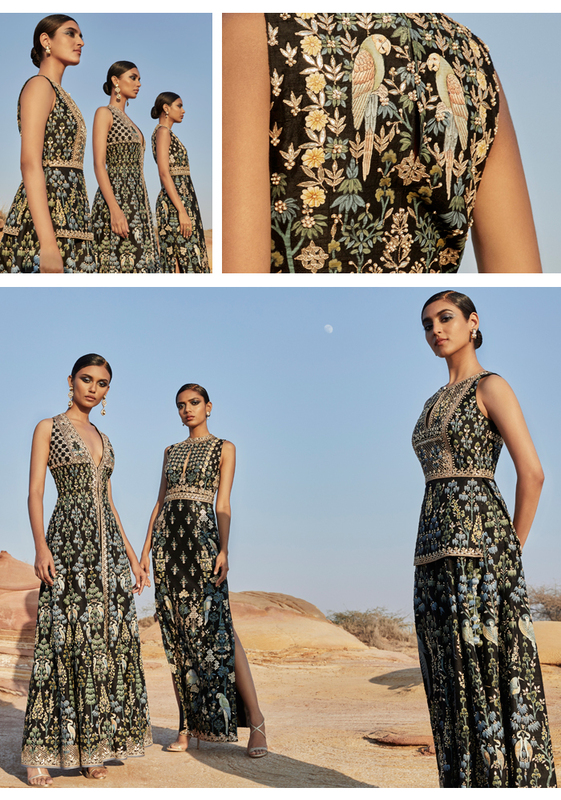 Celebrating the traditional Rajasthani art of Pichhwai, the 15 piece couture capsule collection features exquisite hand painted details, intricate stitching and timeless cuts. Take a closer look at each outfit to really appreciate efforts of master craftsmen in painting different styles of motifs, each painted by hand. 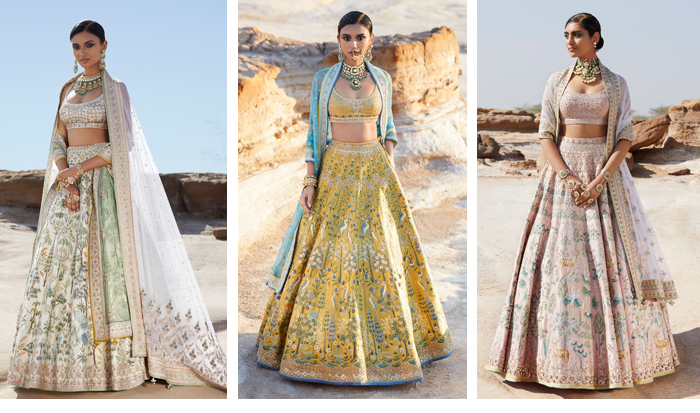 The Pichhwai lehengas showcases the countless time, effort and detail in seriously gorgeous style. Depending on the size and complexity of the design, it can take an artist anywhere between a few weeks to a few months to create! For them, Pichhwai is more than art; it’s a skill that has been passed down through generations. 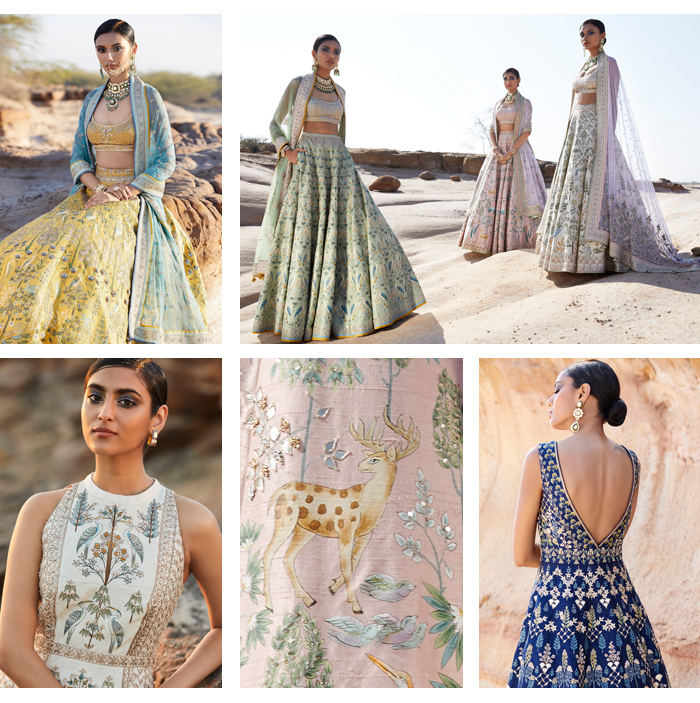 The art of Pichhwai is renowned for depicting nature in all its glorious detail – a common theme in all Dongre’s collections. The designer says: “Two years ago, during my visit to Rajasthan for a shoot, I had a chance encounter with Lekhraj Ji, while he was painting the walls of City Palace. Intrigued and inspired by the intricacy of his work and his flawless brush strokes, I immediately knew I wanted to give this art another form of life. What fuels my creativity today, is not just restricted to design but also about reviving the craft. So, I invited Lekhraj Ji to our Design Headquarters in Mumbai, and that’s how the Pichhwai Collection came to life”.